She passed away peacefully at Nobles Hospital. Beloved Wife of Geoff, Much loved mum of Tim, Ian, Janet and Karen and a dearly loved Gran. A service to celebrate her life at which you are invited to wear bright clothing will be held at St John's Church on Wednesday 10th August 2016 at 11.30am followed by Cremation. Family flowers only please for further information regarding donations in lieu of flowers please contact Eric Faragher Ltd, 6 Main Road Onchan, Telephone 673109. We have been asked to announce the death of Brian Wilfred Gorry. He passed away at King's Reach Nursing Home Ramsey. Much loved Dad to Tracey, Susan, Mandy, Tanya and the late Paul. Sadley missed by all his Grandchildren, Family and many friends. The Funeral Service will be held at Douglas Borough Crematorium on Friday 5th August 2016 at 2pm. Family flowers only please for further information regarding donations in lieu of flowers please contact David Lancaster Funeral Directors Ltd telephone 842945. We have been asked to announce the death of Laura Kennaugh. She passed away at Southlands Residential Home. She leaves son Barry, Daughter-in-law Julia and niece Maureen and nephew Keith. The Funeral Service will be held at Kirk Christ Rushen on Thursday 4th August 2016 at 2pm followed by Interment. 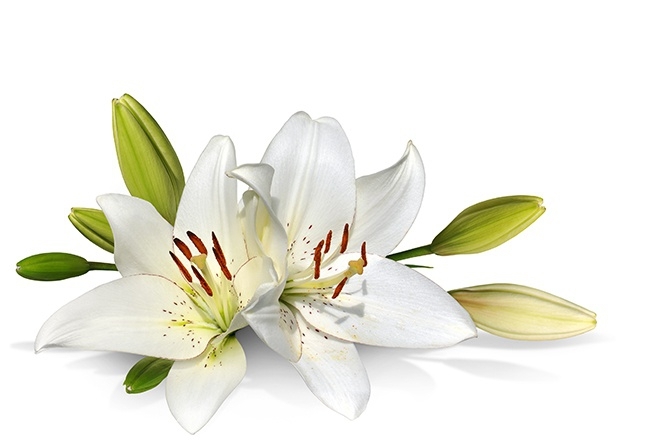 Family flowers only please for further information regarding donations in lieu of flowers please contact Cringle and Co Ltd Southern Funeral Service, Telephone 824134. We have been asked to announce the death of Jane Teare (Jenny) Corden-Gilbert (nee Cole). She passed away at The Ellan Vannin Home in Douglas. Daughter of the late John and Isabella, Sister of the late Betty and Jack she leaves Son Jonathan. The Funeral Service will be held at 10am on Friday 5th August 2016 at the Ellan Vannin Home Chapel, Kingswood Grove in Douglas. Family flowers only please for further information regarding donations in lieu of flowers please contact Kingswood Funeral Home Kingswood Grove Douglas Telephone 661611. We have been asked to announce the death of Sheila Reid. She passed away at Abbotswood Nursing Home. She will be sadly missed by her many friends. A Quaker Service will be held at Douglas Borough Crematorium on Thursday 4th August 2016 at 2pm, followed by cremation. Family flowers only please for further information regarding donations in lieu of flowers please contact Eric Faragher Ltd, 6 Main Road Onchan Telephone 673109. We have been asked to announce the death of Major Bea Cain. She leaves Niece Christina, nephews Anthony, David and Families. A Requiem Mass will be held at St Matthews Church, Douglas on Thursday 28th July 2016 at 11am, followed by private cremation. We have been asked to announce the death of Ruth Green (nee Crellin). She passed away at Hospice Isle of Man. Beloved Wife of Richard, Much loved Mum to Robin, Julian and Briony, Mother in Law to Wendy and Katie, Sister to Joyce and the Late Donald. Sister in law to George, Sadly missed by all her family and friends. Family flowers only please for further information regarding donations in lieu of flowers please contact David Lancaster Funeral Directors telephone 842945. We have been asked to announce the death of Les Leeming. He passed away at Nobles Hospital Douglas. He leaves Son Gary and Daughter Sharon. The Requiem Mass will be held at Our Lady Star of the sea and St Maughold RC Church Ramsey on Tuesday 9th August 2016 at 10am followed by Interment in Co. Kerry, Ireland. Family flowers only please for further information regarding donations in lieu of flowers please contact Cowles Northern Funeral Service, 7 Dale Street, Ramsey 815156. We have been asked to announce the death of Rose Mary Bawden. She passed away at Nobles Hospital. She leaves Husband Arthur, Daughter Louisa, Son Dennis and Grandaughter Artia (Melody). The Funeral Service will be held at The Royal Chapel St John's on Friday 29th July 2016 at 12.45pm followed by cremation. Family flowers only please for further information regarding donations in lieu of flowers please contact Kingswood Grove Douglas, Telephone 661611. We have been asked to announce the death of Catharine Louise Kneale (nee Livesey). Wife of the late Eric Kneale, She leaves Daughter Daphne and Family. The Funeral Service will be held at Douglas Borough Crematorium on Friday 15th July at 2pm. Family flowers only please for further information regarding donations in lieu of flowers please contact Kingswood Funeral Home Kingswood Grove Douglas. We have been asked to announce the death of Sheila Bawden. Wife of fifty years to Ken, Mother of David and Julie. A Funeral Service will be held at St Johns Methodist Church on Thursday 14th July at 1.30pm followed by Private Cremation. Family flowers only please for further information regarding donations in lieu of flowers please contact Kingswood Funeral Home Kingswood Grove 661611. She leaves a Partner Don, Daughter Carolyn, Son John and Family. The Funeral Service will be held at Douglas Borough Crematorium on Friday 8th July at 10.45am followed by Cremation. Family flowers only please for further information regarding donations in lieu of flowers please contact Cringle and Co Ltd Southern Funeral Service 824134 or 833602.